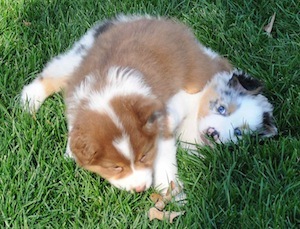 Located in Davidson, a small town just outside Charlotte, North Carolina, we are a small hobby kennel dedicated to raising and loving the best dogs in the world – Australian Shepherds. We are proud AKC Breeders of Merit and members of both USASA (AKC) and ASCA and show our dogs in Rally, Agility, Herding and Conformation. All of our dogs live in our home and their most important job is that of our pets. Our puppies are raised in our home and are handled immediately. They are brought up with the sights and sounds of a home and we spare no expense to ensure they are happy and healthy. I always cringe when I hear people say “Oh I just want a pet” to me the most important job our Australian Shepherds have is to be someone’s best friend! All of our dogs have basic obedience including the AKC Puppy STAR accreditation as a juvenile and the AKC Canine Good Citizenship as adults. The cornerstone of our breeding program is a great temperament. If they cannot live in our home then they are not part of our breeding program! A new addition to our bag of tricks is herding! We are actively working both of the boys on sheep and hope to compete soon! It is a wonderful sight to see your dogs doing what they were bred to do. 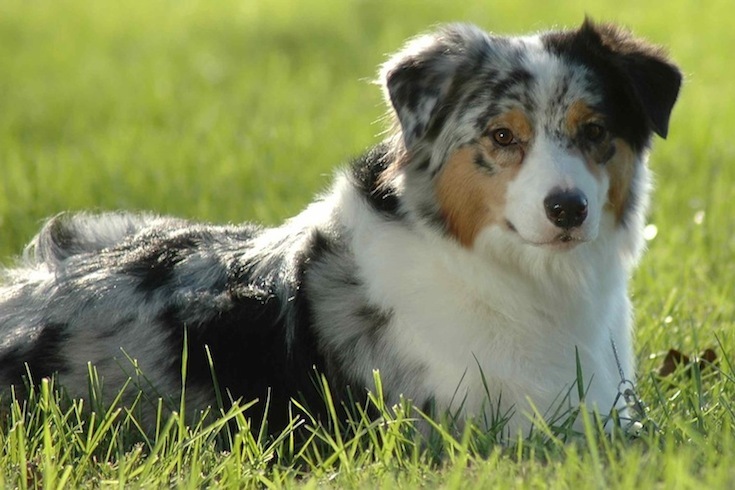 It is our goal to promote the all around Aussie – a dog that is athletic, structurally correct with herding instinct and a great temperament. We may have one or two litters a year and have an extensive network of friends and am happy to assist people in finding their next best friend. I also try and keep my blog updated with the latest shenanigans from the dogs. Thank you for dropping by! We are so very proud of our first dog to show at Westminster. Stinger has been a lot of firsts for us. 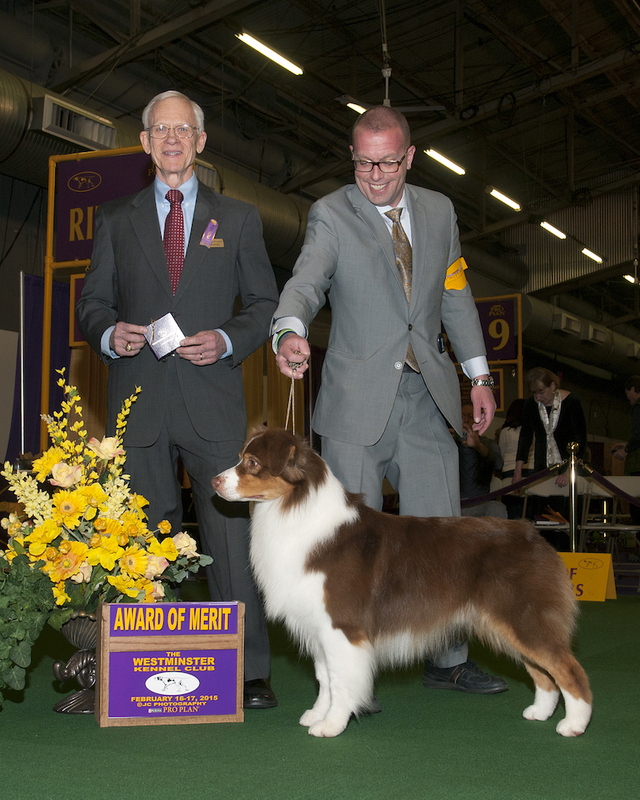 The first red tri, the first bred by to show, our first bred by to finish his Championship, our first Grand Champion, our first Reserve Best in Show and now you can add our first dog to get an award at Westminster. We are very proud of all of our dogs and hope that you will come along with us on our journey. Our kennel is not big and that is a decision we made in the beginning. These are our PETS, this is not a business, it is a passion. We don't breed or show for money, we love the breed and try to showcase these amazing dogs while loving them. Oh and the question you are probably asking to yourself – What is Calabrone? I am sure you are wondering and it is simple, Calabrone is Italian for Bumble Bee and we would be nothing without her so it made sense to honor her and my Italian heritage! We love our Bumble Bee dog!